At Brighton Campus Massage you can be assured your massage will be professional, performed by experienced New York State Licensed Massage Therapists in a clean and safe environment. If you have any questions about our services, please give us a call. One of our therapists would be happy to speak with you! 5. Face, Neck, Scalp Massage. 6. Hand and Foot Massage. Massage sessions greater than 1 hour are available upon request. Chun Li, an licensed acupuncturist with a Master degree and graduated from New York College of Traditional Chinese Medicine. Chun Li was born and grew up in a family which has been practiced Traditional Chinese Medicine for 2 generations. 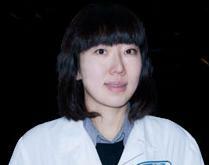 Her father and grandfather were one of the most famous TCM doctors in Chengdu, China. She was raised in the environment of herb and needles that made her setting up a goal as to achieve a higher level in the field of Traditional Chinese Medicine since she was a little girl. Acupuncture is a part of Traditional Chinese Medicine, which is over 3000-years-old. It is based on the theory that illness is understood to be a disruption of energy which flows through the body along acupuncture meridians linking to specific internal organs and organ systems. When very thin, sterile needles are inserted into special acupoints on the meridians, they help correct and rebalance the energy flow and consequently relieve disorders and restore health. Modern biomedical research has determined that acupuncture stimulates certain systems to release some chemicals, such as endorphins and hormones, that affect mood, health, and pain perception.